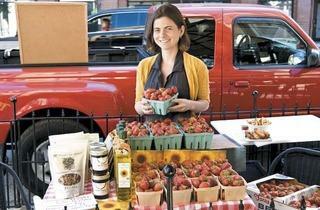 A chef turns his restaurant into a farmers’ market one night a week. As a chef with 10,000 pounds of soil on his roof, Browntrout’s Sean Sanders is the obvious candidate to turn his restaurant into a farmers’ market. “I’ve had a farm-to-table restaurant for three years, and I’ve always wanted to do something that’d be helpful to the farming community,” Sanders says. 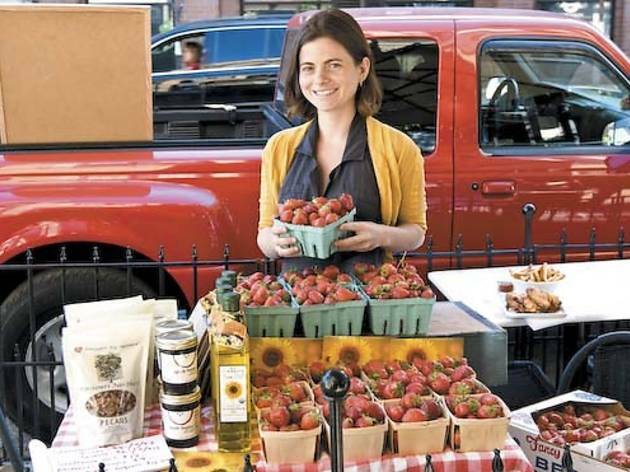 With support from Ground Up, a local chef collective, he organized a weekly indoor/outdoor market that launched May 1. What sets it apart from all the others? The four farms currently attending are mostly too small or too new to be at Green City. For instance, Frillman Farms, run by the brother of Balena’s sous chef, has been bringing just lettuces, radishes and a few mustard flowers. (There’ll be more as the season progresses.) Catalpa Grove Farm sells goat’s milk–fed, humanely raised veal, and there are duck eggs, chicken eggs and pea tendrils from Lucky Duck Farms. The other benefit of hosting a farmers’ market in a restaurant: Cocktails are for sale at the bar. Browntrout farmers’ market (4111 N Lincoln Ave, 773-472-4111) runs Tuesdays from 5–8pm through September 13.